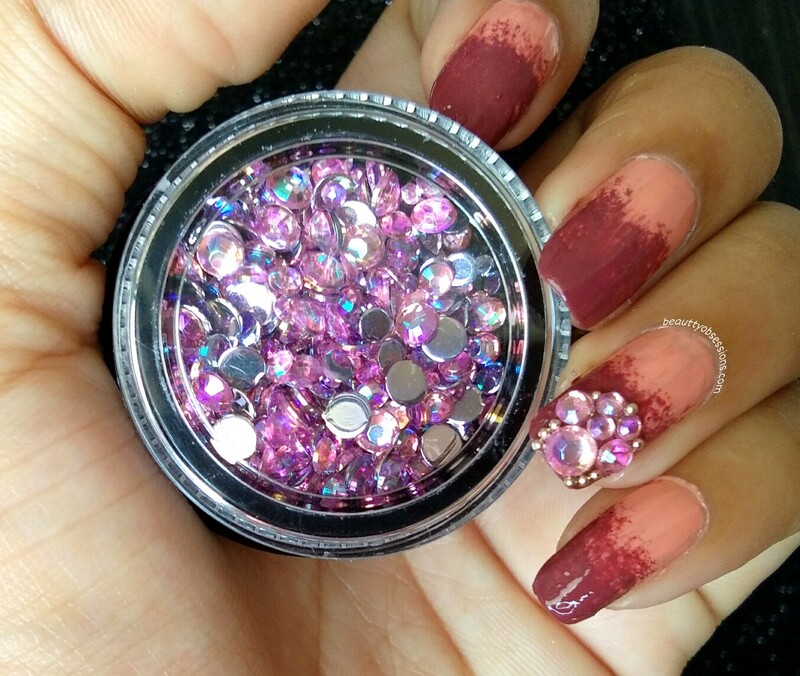 These 3D crystal pink rhinestones have flat base which allows these to sit on nails perfectly.. There are around 200 pieces of rhinestones in this cute little box and of four different sizes.. You can use according to your need.. Along with these pink rhinestones, I have also used the champagne metal beads which I have again got from Beautybigbang .. Infact these beads are a part of the metal beads wheel about which I have shared in my bridal nailart tutorial... Have a look HERE . 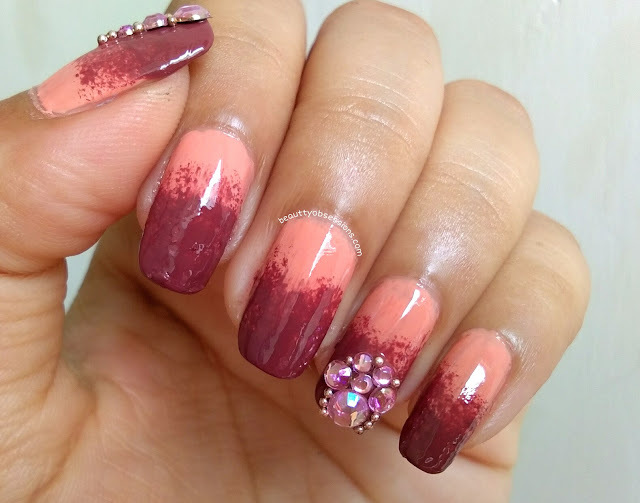 Now jump into the easy to create party nailart tutorial..
2- Now create a gradient effect by taking the darker shade polish through a sponge and keep dabbing on the outer 1/3rd till you get the desired effect..
3- Then apply a transparent top coat to create a smooth base for the jewels. Tada... The party nail is done... Isn't it easy to draw? 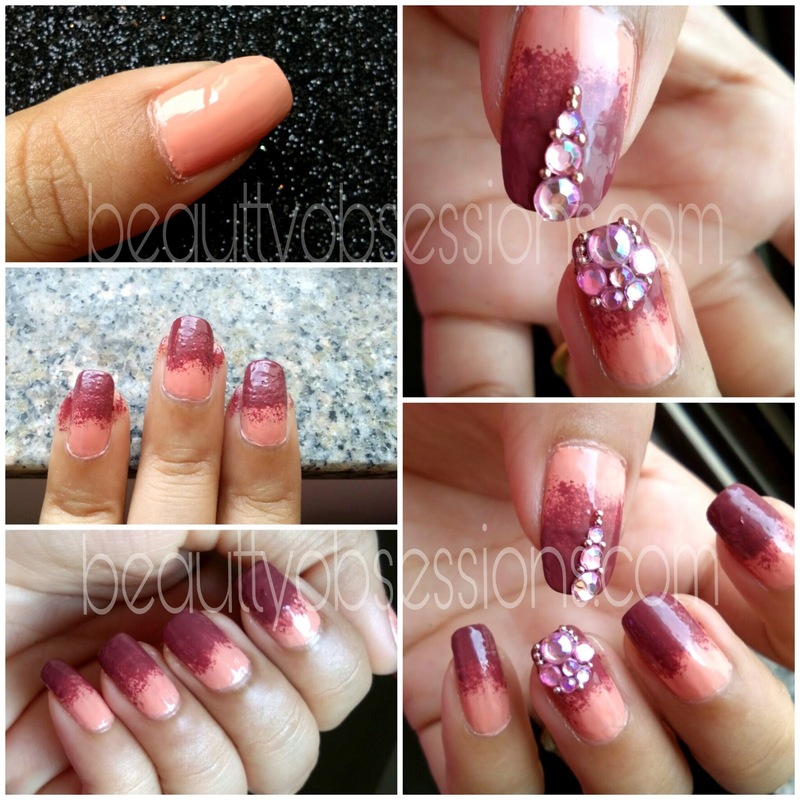 Hope you liked this easy glam party nails tutorial... 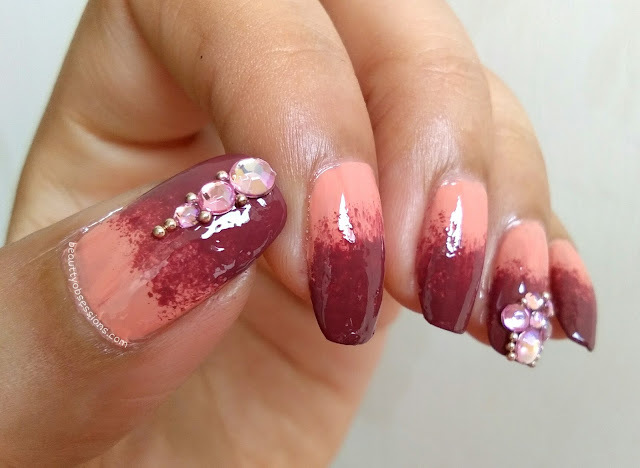 I will come with such ideas in future.. Till then keep smiling and stay blessed..
Its looks quite nice and attractive nail art. The steps seems very easy to do. 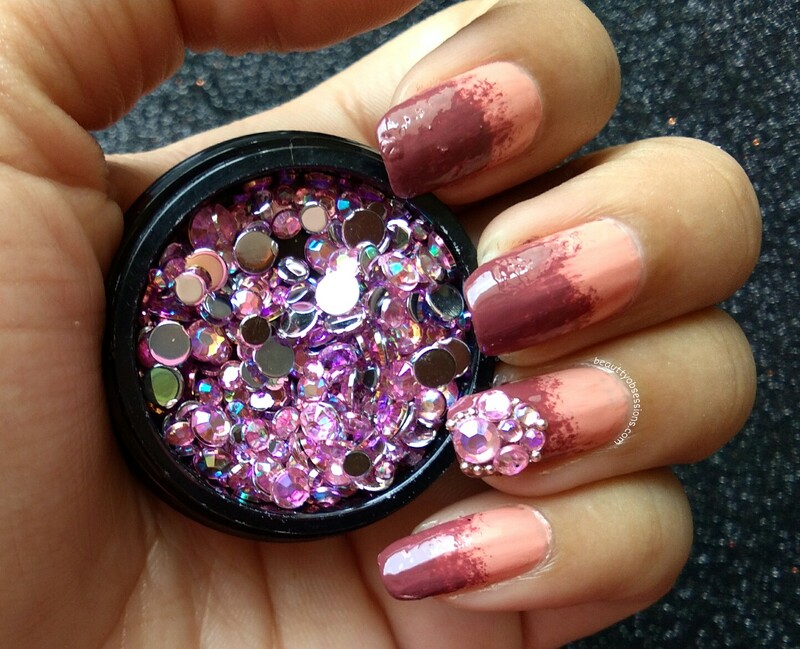 Will try this one with available nail paints. This is so beautifully done! this is art in its finest! Such a gorgeous glam look. I love how the base colours have come together. 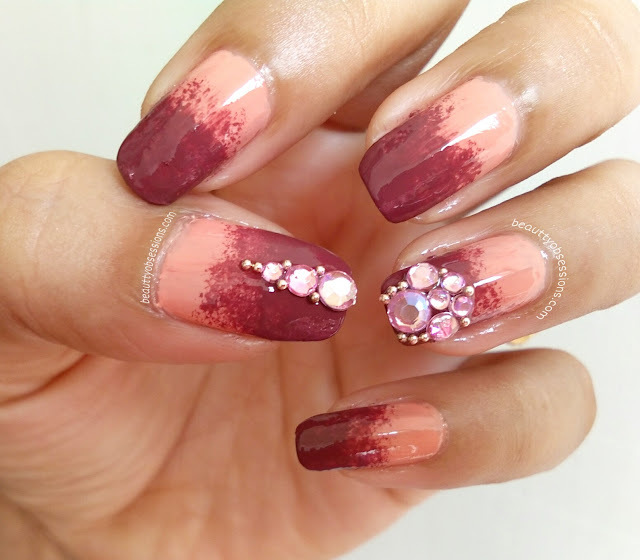 Wow, your nail art look very beautiful. And it is so easy to create. Thanks for the fabulous tutorial. You are a pro in nail arts. This art is so beautiful like always. This is soooo neat!! I love the rhinestone work. You know I have no words to describe this creative of yours. You are just awsome.i will try this or something like this very soon. 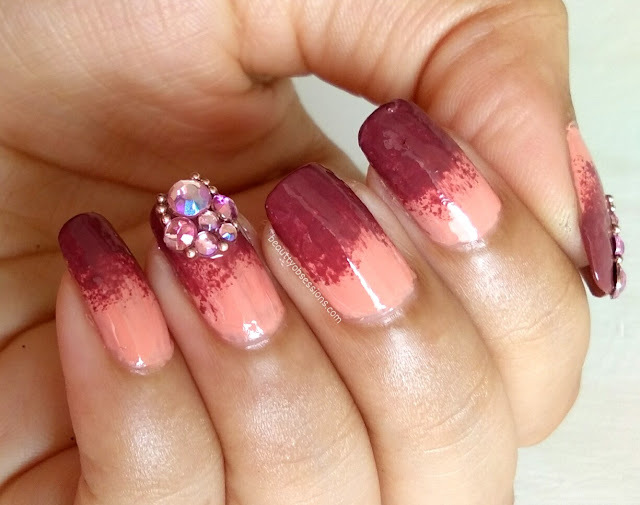 This is indeed a very glamorous nail art that can be tried for a party look!